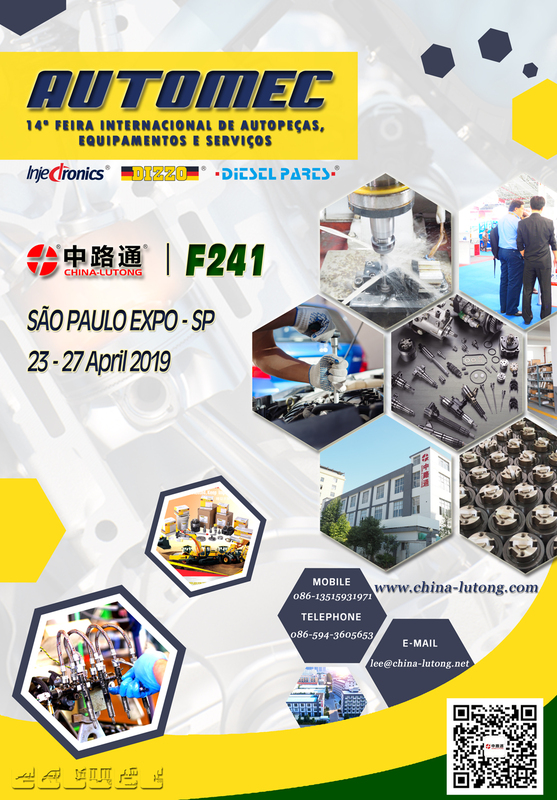 We are honored to invite you to participate in AUTOMEC - 14th International Autoparts, Equipment and Services Trade Show what will take place on 23-27 April, 2019 at the Sao Paulo Expo Exhibition & Convention Center in Sao Paulo, Brazil. You are more than welcome to visit our booth during auto parts exhibition "AUTOMEC 2019". China-Lutong's stand is F241. For over 18 years in São Paulo, Automec, the largest business-generating pole in the Latin America reposition sector, has promoted launches for over 66,000 professionals interested in new and innovative Auto Parts and Systems, Accessories and Tuning, Repairs and Maintenance, IT and Management, Equipment and Services. It's going to be a power-packed time with us, and we are looking forward to meeting you there! China Lutong Diesel Teile Plant ist ein Hersteller Spezialist für Diesel-Motor parts.Our Hauptfach Produkte ist Ve-Pumpe, Diesel-Einspritzsystemen Teile, Diesel-Düse-, Diesel-Einspritzung-System, und die Produkte miteinander (z. B. Leiter Rotor, Kraftstoffpumpe, Cam Plate, Drive Schacht, Manget Ventil, etc. ), Diesel Plunger (A, AS, P, PS7100, P8500, MW-Typ, etc. ), Diesel Nozzle (Dn, DNOPDN, S, SN, PN und so weiter. ), Liefer-Ventil, Cat Stift-Düsen und so weiter.